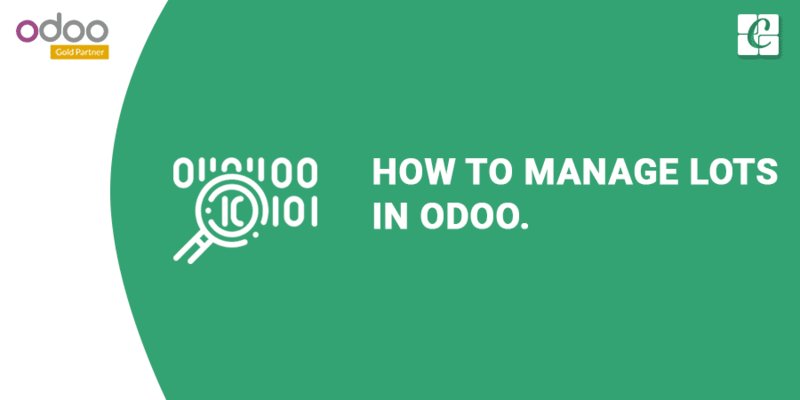 How to Manage Lots in Odoo? Lots are a batch of products identified with a unique barcode or a serial number. All items of a lot are the same product. (E.g. a set of 24 bottles). Lots corresponding to a certain number of products you receive and store altogether in a single pack. It is better to manage such bulky products as a whole. 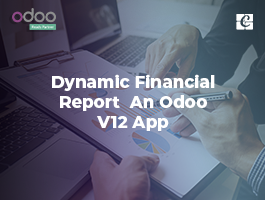 Odoo provides some simple step procedures to track and manage ‘Lots’ of inventory. 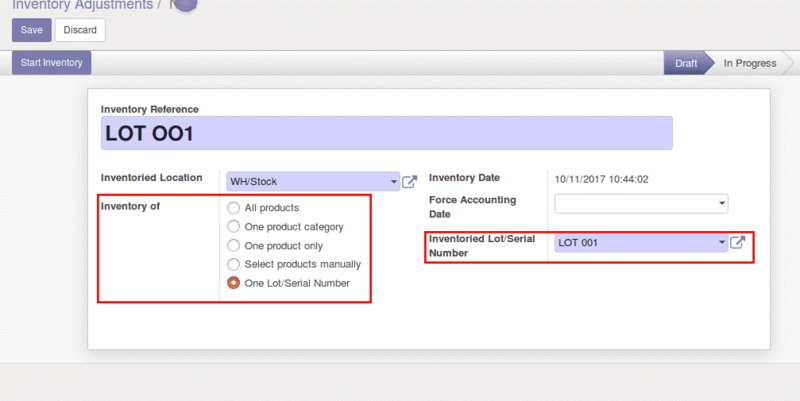 In this blog, I will be explaining how to configure Lots based product management and trace the products in inventory. To manage products as Lots, first, we have to make the following three configurations. 1. Choose a traceability option. 2. Then go to the Location & Warehouse section. 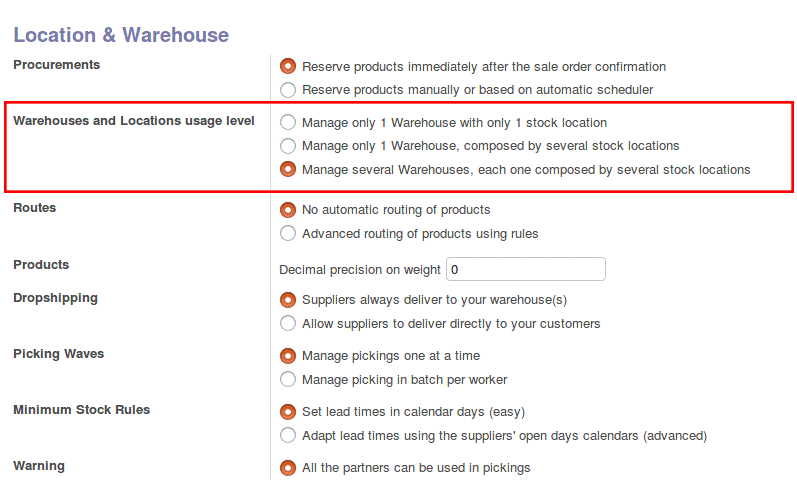 Activate ‘Manage only 1 warehouse, composed of several stock locations’ or ‘Manage several warehouses each composed of several stock locations’ and click Apply. Tick the appropriate options in Packs and Lots section. 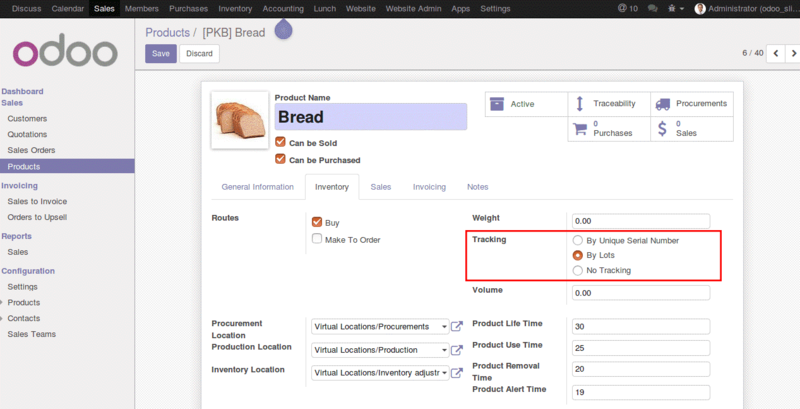 Now you will get an extra filed- ‘Tracking’- under Inventory tab of product form. Mark it as ‘By Lots’ to manage the particular product as lots. 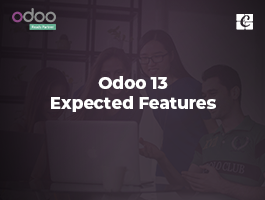 Now let’s create a Purchase Order for the configured product to see the changes. 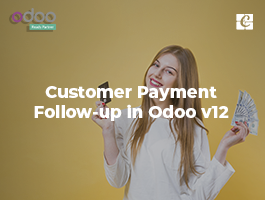 In the purchase order form, we will get a new option to enter the lot number for the products that we receive. 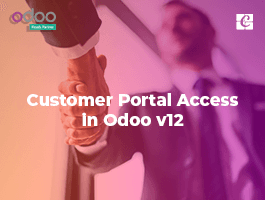 Assign a ‘Lot Number’ for the product and click validate to receive products. The products will be added to inventory with the assigned Lot Number. Once the product has been added to the inventory, we can track the product or the lots in a different way. The Simplest way is to track all the created Lots as a blow. 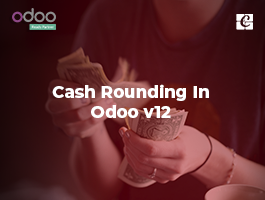 All the Lots in inventory will be listed here, Click on any to see all the movements of this lot. 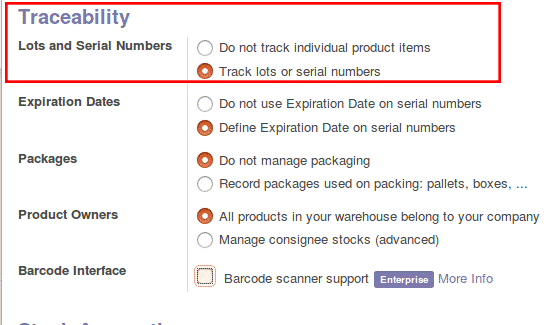 The inventory of a product tracked by a Lot can be updated in two ways. - Mark inventory of One product only and click on Start Inventory. When we save the inventory adjustment, the quantity of the product can be seen under the Inventory Details tab. - Click on Start Inventory. When we save the inventory adjustment, the quantity of the Lot can be seen under the Inventory Details tab.